Did Donald Trump’s 2nd Amendment Comment Mean Clinton Assassination Threat? Did Donald Trump’s 2nd Amendment Comment Mean Hillary Clinton Assassination Threat? 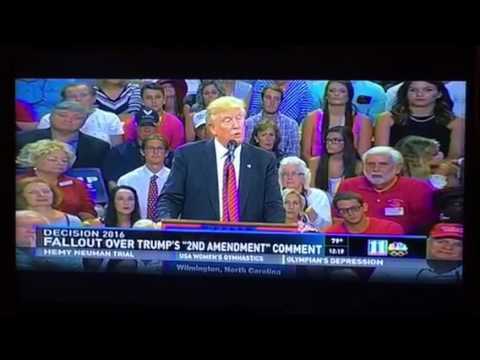 Be the first to comment on "Did Donald Trump’s 2nd Amendment Comment Mean Clinton Assassination Threat?"